The Church of God of Prophecy celebrated a significant day recently, as the largest class of students graduated from Gordon-Conwell Theological Seminary, since the movement’s partnership began over ten years ago. 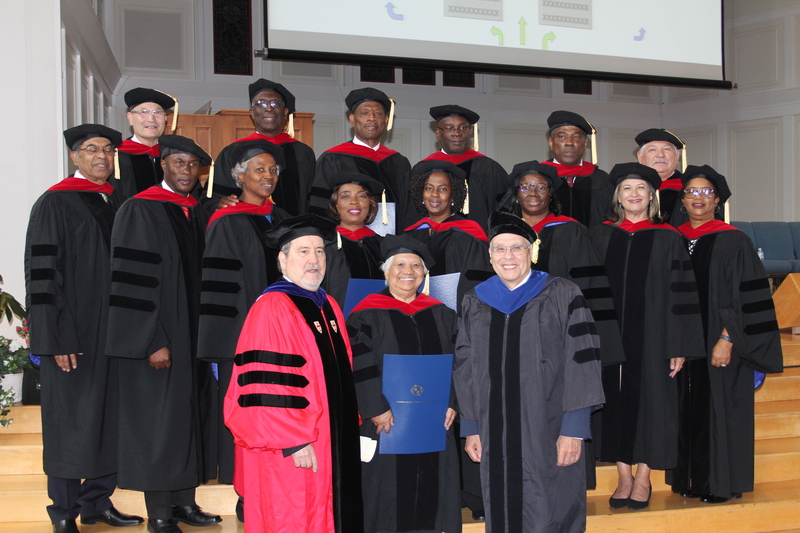 At commencement activities conducted May 12, 2018, on the campus of Gordon College in Boston, Massachusetts, degrees were conferred on 45 Church of God of Prophecy students. 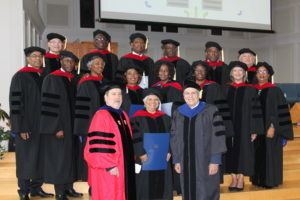 Thirty students graduated with their Master of Arts in Religion degree, along with 15 students receiving their Doctor of Ministry (with Global Pentecostalism concentration). At a luncheon honoring graduates following the ceremony, Dr. Hyacinth Campbell, a COGOP student and site coordinator for Jamaica, was honored with 2018 Alvin Padilla Award for Excellence in Leadership. 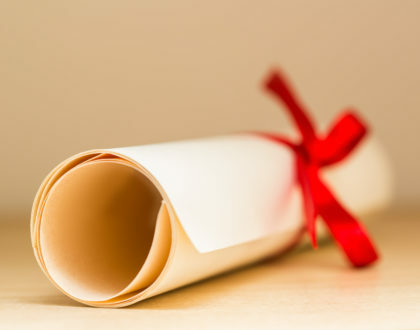 This recognition is awarded by the leadership of Gordon-Conwell’s Doctor of Ministry program to one graduate each year. Dr. Campbell was recognized for faithfully leading our partnership efforts in Jamaica, hosting a number of professors and staff in her home. 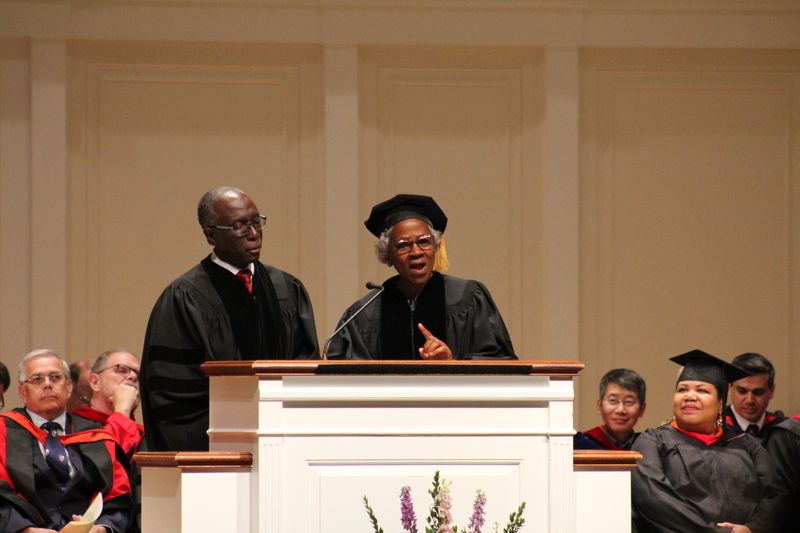 The previous evening, graduates participated in a baccalaureate worship service conducted in the campus chapel. 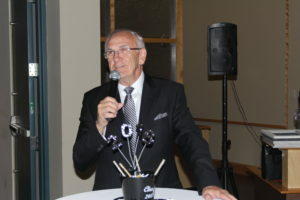 The evening celebrated the achievements of the students, giving glory to God through student reflections, singing, and a sermon by a faculty member. Drs. 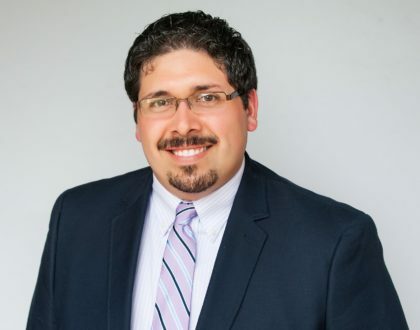 Clayton and Sonia Martin, general presbyter of the Caribbean and Atlantic Ocean Islands, were selected to give a joint student reflection on their experience in the program. 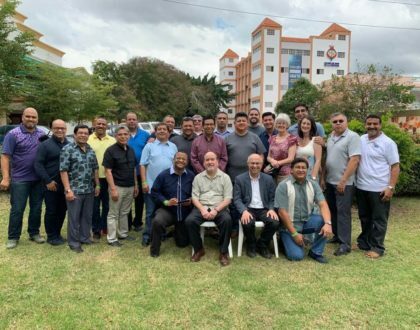 Following the worship service, Accredited Ministry Development hosted a reception for graduates and their families at a nearby hotel. During the reception, General Overseer Sam Clements congratulated all of the graduates and commented on the importance of their achievement for their families, local church, communities where they serve, as well as for the global movement. During the reception Dr. Hector Ortiz, originator of the partnership with GCTS, as well as Bishop Shaun McKinley, director of Accredited Ministry Development, were honored by delegates from Jamaica with commemorative plaques, presented by National Overseer Winston Leith and Site Coordinator Dr. Hyacinth Campbell.